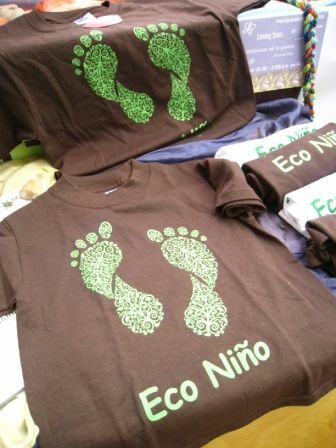 Life's a Beach | Expat Life in Playa del Carmen : 2nd Annual Think Green Eco-Expo a Great Success! 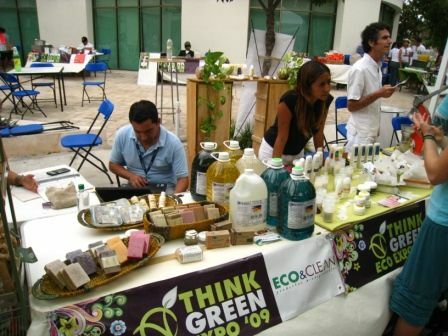 Over thirty Riviera Maya businesses and organizations turned out to display their eco-friendly wares and spread the word about environmental responsibility at the 2nd annual Think Green Eco-Expo. 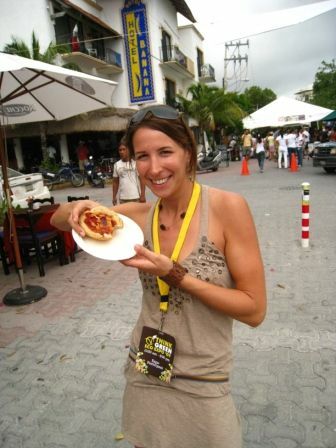 Covering several blocks of Playa del Carmen's world famous 5th Avenue, this year's festival was expertly organized and executed by event coordinators Melissa Meno and Courtney Venus. 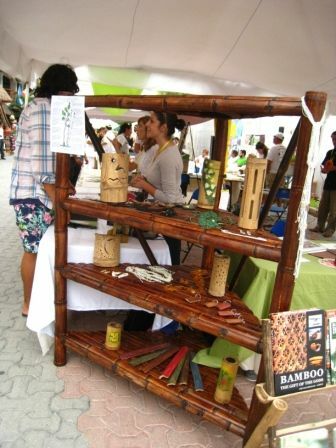 Businesses providing all-natural bath and beauty products, organic food producers, and restaurants shared the spotlight with distributors of products made with recycled materials, solar and wind power companies and designers of self sustainable housing solutions and bamboo furnishings. 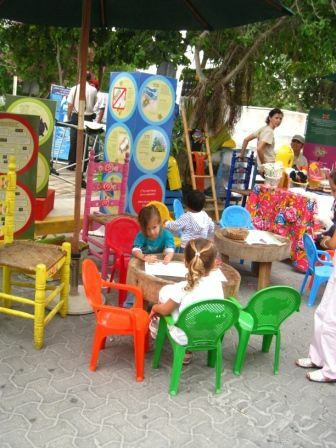 Parque la Ceiba and the Riviera Maya's first eco-friendly school, Ak Lu'um, had delightful workshop areas set up with an array of fun projects and hand craft instructors and even a pizza dough making station to keep little heads and hands busy while parents enjoyed the wide variety of exhibits. 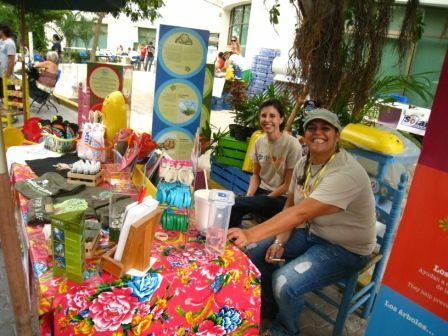 This second annual Eco Expo was sponsored by Agua San Andres, Sandos Eco Resort, Alltournative and Ideas del Mar with special thanks to Lenin Amaro, the municipal director of economic development. 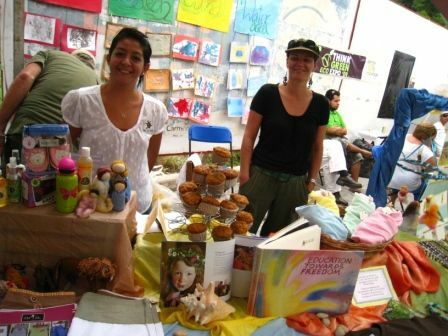 Funds raised will go to support ongoing projects from the eco group MOCE Yax Cuxtal and "Huertos Organicos Urbanos" organized by the Municipality of Solidaridad. 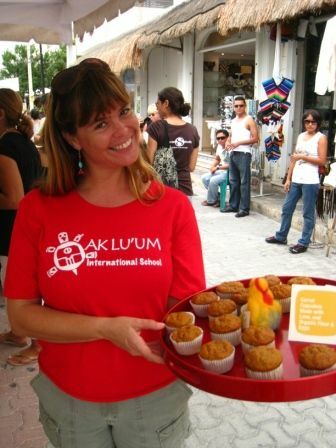 Siobhan Bowers, faculty leader for Ak Lu'um International School served up homemade muffins. 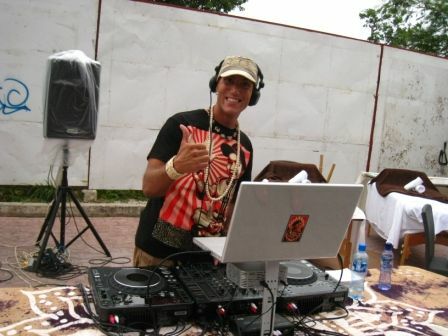 Leo, aka DJ Somos, spinning cool tunes to entertain the guests and exhibitors. 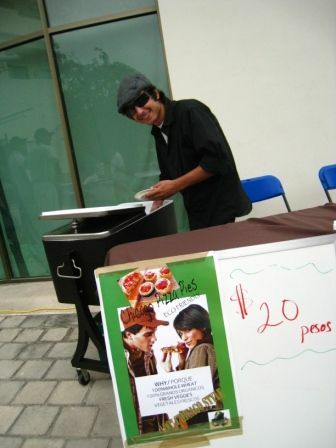 A family affair, Alex Meno offering tasty mini Chicago Style pizzas! 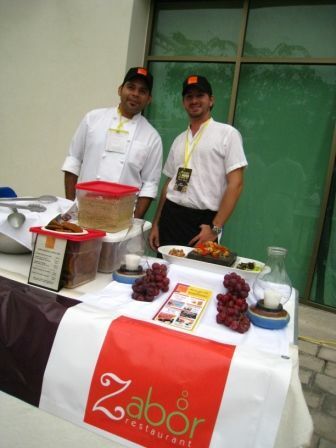 Renato and Christian, the handsome and talented chef and owner from Zabor Restaurant! 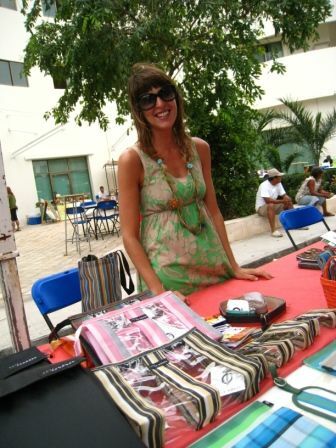 The energetic and effervescent Melissa Meno, event coordinator and super cool chica! 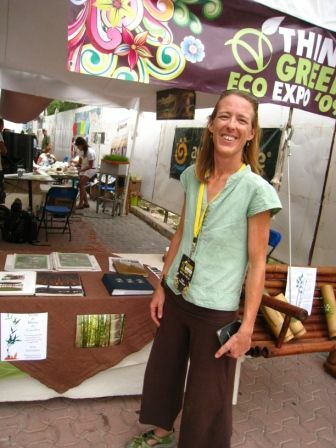 # re: 2nd Annual Think Green Eco-Expo a Great Success! Great write up Michele! 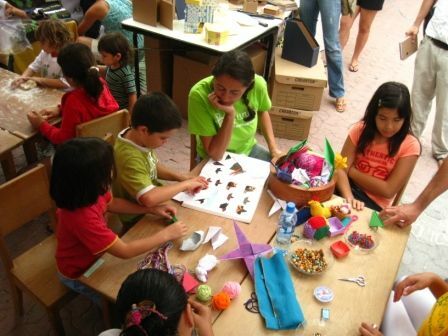 he day was great, the rain held off and I know I learned lots about what is available here in Playa! This is Cristiana and Fernando. We've met so time back in Oct. 2009. We opened Cristi Fer Tienda Naturista! just about 1 mo. ago. 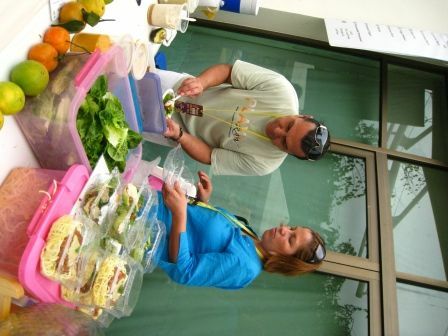 We have organic, gluten free, natural, and vegetarian products. More are arriving every week. 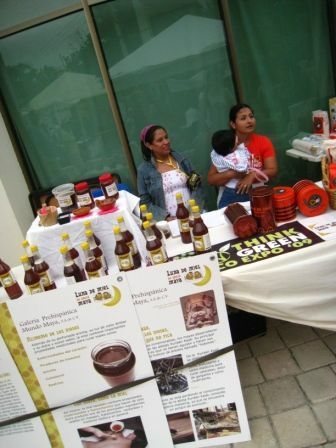 We have 3 types of veggie mear, rice and corn pasta, soon we'll have organic baby food, and much more. Stop by when you have a chance! We are behind DAC, on C20 between 25-30 Av. 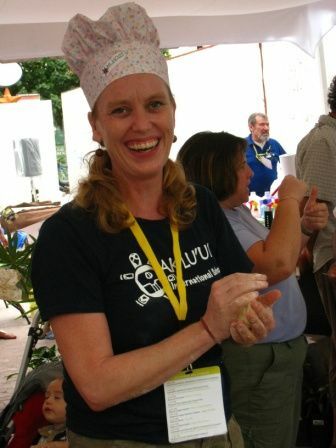 We;ll love toconnect with the Women and Wine and connect with any up caming events.